Here's a collection of thank you letter examples ready to copy and personalise for those little occasions when you just want to send a simple thank you. Also see our article on "Writing Thank You Notes" for useful tips. So often, people surprise us with little kindnesses, and it's a lovely treat for them to receive a handwritten thank you card in return - with or without a little thank you gift. If you're a bit stuck for what to write in your note, I hope these brief thank you letter examples give you some inspiration. Edible thank you gifts work! When I moved house recently, a bad storm damaged my fence just a few days later. Before I had time to think about calling in a handyman, my new neighbour was at my door, toolbox in hand, offering to fix the fence for me. Wow! Such generosity definitely deserved a thank you note and some homemade brownies! Thank you so much for 'lending' me your husband to fix my fence for me yesterday. It was so thoughtful of you. I feel lucky to have such generous, thoughtful new neighbours. Mark did a great job and I'm confident that the fence will be secure now for a long time! 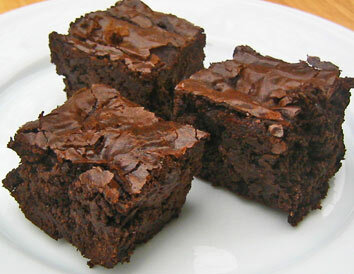 Once again, many thanks - I hope you both enjoy the brownies. When I bought some used furniture recently, I knew it wouldn't fit in my little car! My fabulous brother came to the rescue, driving miles out of his way to dismantle the furniture, pack it in his station wagon and build the furniture in my house for me. I got beautiful designer look bedroom furniture - with a little help from my brother! What a superstar you are! You really helped me out yesterday with the bedroom furniture. I don't know what I would have done without your help!Thank you so much. I got straight to work on the bedframe and lockers and now it's all painted it looks fabulous - just like designer furniture (at a fraction of the price). I hope the Nuits St Georges helps to soothe any aches from all that physical work! Raising kids - it's simply the toughest, most rewarding thing you will ever do! And, it's so wonderful when you have a trusted friend who can help you out sometimes. Huge thanks to you for 'being there' yesterday when I was struck down with that awful migraine. It really helped to be able to go to bed and sleep off the pain, safe in the knowledge that Alfie was enjoying himself with you. Thank you again - you're such a great friend!